Lessonly is powerfully simple training software that helps support teams do better work. Lessonly Practice gives customer service teams a more realistic training experience. 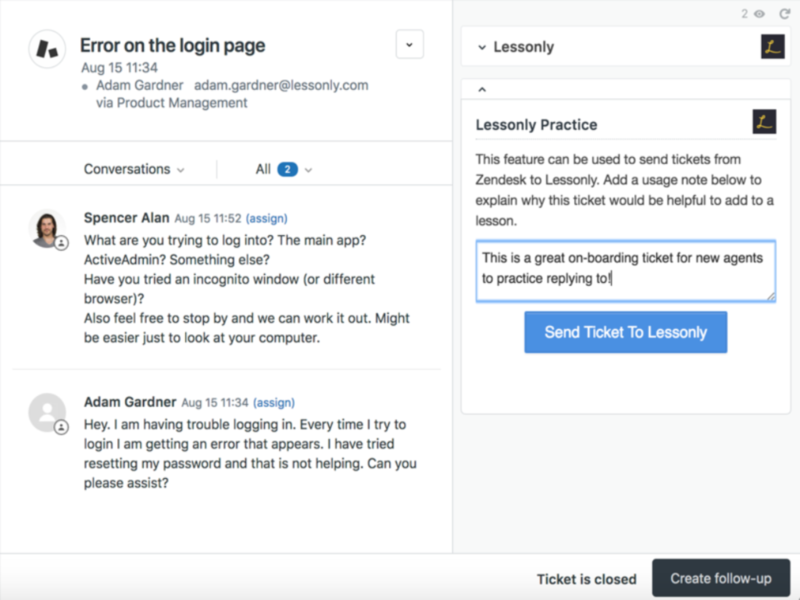 Send actual Zendesk tickets into Lessonly, making them available as practice exercises in a low-risk environment. Lessonly Practice is great for new employees learning process and typical ticket scenarios, as well as ongoing training to make sure your team is enabled to perform their best. Login to Lessonly as an admin. Navigate to Settings and click on the Integrations tab. Under the “Zendesk Integration” section, a security token should be visible. If it is not, click on “Generate Token”. Copy the Subdomain and Token and paste into the mandatory fields in the Zendesk app. Please treat the token as a password - do not share it, and please regenerate it if it is ever exposed. Once your team has successfully installed the Lessonly Zendesk Practice App, you can now begin to use the integration for your team! Here are some details of how it works once installed. 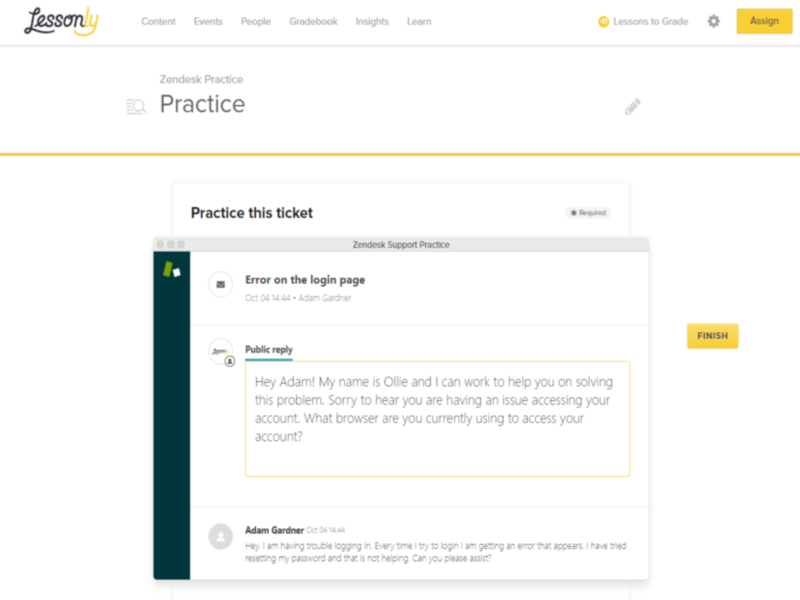 On each ticket, there will now be a Lessonly Practice section on the right hand apps side bar. 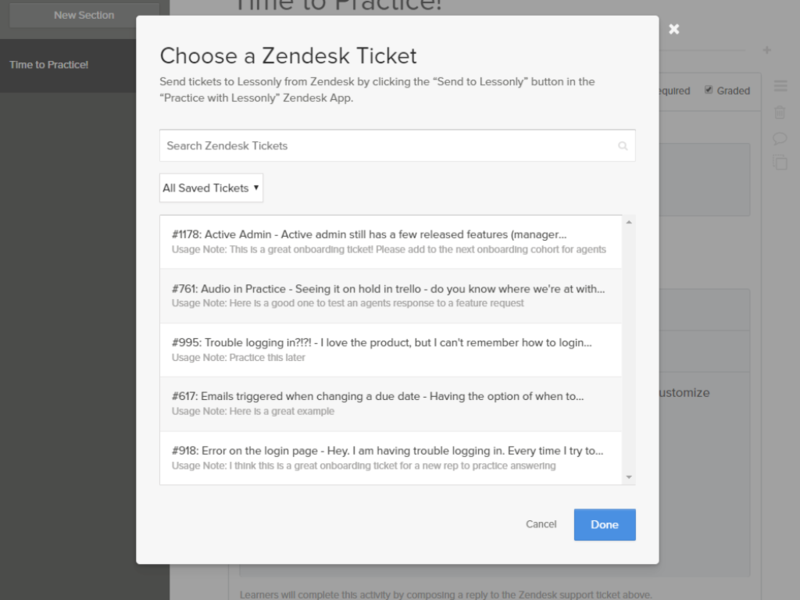 This feature can be used to send tickets from Zendesk to Lessonly. Add a usage note below to explain why this ticket would be helpful to add to a lesson for Practice.